Yesterday, August 29th, the price of Ethereum was in a bullish trend. The ETH price was unable to reach and break the upper level of a price range. The cryptocurrency reached the high of $297.53 and later fell to the low of $284.02. The price of Ethereum is range bound between the levels of $260 and $320 since August 17. Today, the price of Ethereum has fallen to its range bound movement. The ETH price is likely to fluctuate within the confinement of its range. Nevertheless, the MACD line and the signal line are above the zero line which indicates a buy signal. In addition, the price of Ethereum is above the 12-day EMA and the 26-day EMA which indicates that the bullish trend is ongoing. The Relative Strength Index period 14 is level 51 which indicates that price is in the sideways trend zone. On the 1-hour chart, the price of Ethereum is in a sideways trend. The MACD line and the signal line are below the zero line which indicates a sell signal. Price of Ethereum is below the 12-day EMA and the 26-day EMA which indicates that price is falling. 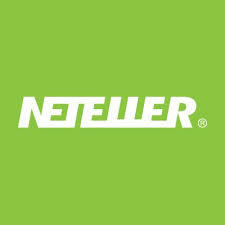 Before you can fund or withdraw with Neteller, you need to register for the business. The purpose of registration is to serve your properly, and also to know who is using our services (hence the need to upload your supporting documents). To register properly for Neteller business, please go to InstantForex.com.ng, and click on “SIGN UP.” (On the tope right part of the page). Then follow the next registration instruction (to the letter). On a mobile device, you go to the same website and tap on a short white arrow symbol (which points right, to a symbol that looks like a miniature human head and shoulders). You may want to enlarge to see properly. By doing this, you will be led to the Sign Up page, where you need to follow the registration instruction so as to get the best result and hear from us soon. Try us today and see the difference! The prediction for Gulf Keystone stock (LSE:GKP) for last month has proven to be correct. This is a bull market, and it is supposed to continue being bullish. In the chart, the ADX period 14 is at the level 30, which means the momentum in the market is strong. The DM+ is above the DM-, which shows that bulls have upper hands. The MACD, default parameters, has both its histogram and signal lines above the zero line. There is a Bullish Confirmation Pattern in the market; and that signals possibility of further bullish movement in the market. The outlook on Gulf Keystone is bullish. IQE shares (LSE:IQE) are currently consolidating. This is a quiet and somewhat “boring” market, but a storm is in the offing and that will cause a breakout to happen in the market, which will result in a directional movement. A closer look at the market, especially in the past several months, shows that the recent bias on the market is bearish. Perpetual southward journeys have often been followed by transitory rallies. No indicators in the chart support any directional movement at the present, but the situation will soon change. A breakout to the north will move price above the EMA 21 as the Williams’ % Range period 20 goes into the overbought territory. That will cause a bullish bias. When price goes below the EMA 21, and the Williams’ % Range moves into the oversold territory, the bias on the market would have turned bearish. One of these two expectations will be fulfilled once there is a significant breakout in the market. This pair gained a minimum of 200 pips last week, thus forming a bullish signal in the short-term. Further bullish movement is supposed to bring about a strong Bullish Confirmation Pattern, even in the long-term, as more gains are made in the market. Price would continue moving upwards this week, and bulls might target the resistance lines at 1.1650, 1.1700 and 1.1750 before the end of this week. This trading instrument has become bearish in the short-term (though the market remains neutral in the long-term). Last week, the market fell by over 130 pips, in reaction to the bullish effort evident on EURUSD. Should price continue dropping more and more southwards, the long-term outlook on the market itself will become bearish. Right now, the support levels at 0.9800, 0.9750 and 0.9700. Although Cable made a faint effort to rally last week, the outlook remains bearish in the long-term. On Friday, price closed on a neutral note, but a rise in momentum is expected any day (before the end of the month); and that is expected to be in favor of bulls. Nonetheless, there is a need for price to go upwards by at least, 400 pips before the long-term bias can turn bullish. Right now, price is consolidating. In the long-term and the short-term, a Bullish Confirmation Pattern is present in the market. 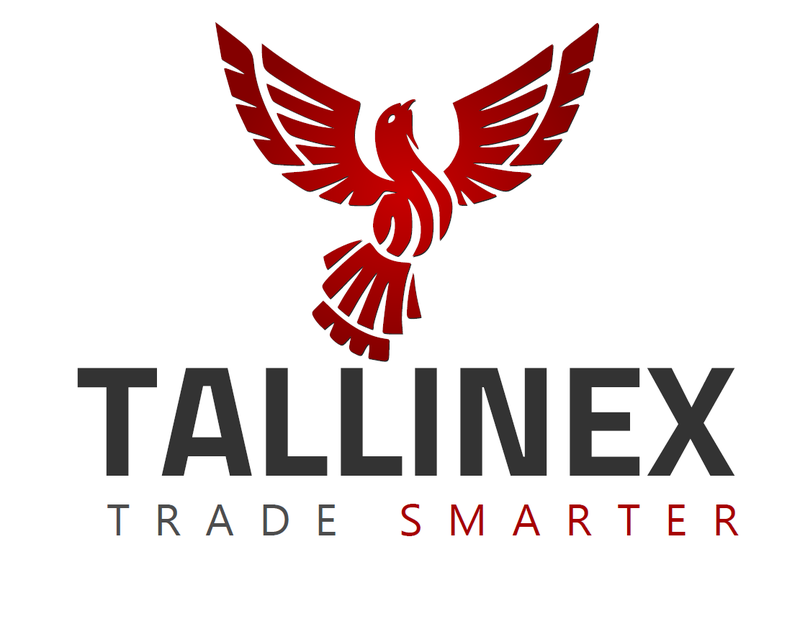 Last week, price managed to gain 140 pips, from the weekly low of 110.00. The probability of price going northwards is higher than its probability to reverse and go seriously downwards. While there may be bearish threats along the way, USDJPY is supposed to generally go northwards this week, reaching the supply levels at 111.00, 111.50 and 112.000. This cross made a significant rally last week, rising from the demand zone at 126.50, and gaining about 340 pips, before closing around the price zone at 129.50 on Friday. Bulls are still intent on pushing the market upwards – that is the expectation for this week. At least, another 200 pips would be targeted this week, as price aims at the supply zones of 130.00, 130.50 and 140.00 might be reached this week. This cross is bearish in the long-term, but bullish in the very short-term. Last Monday, price consolidated, rallied on Tuesday and Wednesday, and then consolidated for the rest of the week. The outlook on the market is bullish for this week, and in case the expected bullish movement is serious enough, the long-term bias on the market should become bullish. This week, the supply zones at 143.50, 144.00 and 144.50, could be targeted. Last week the LTC price was in a sideways trend. The digital currency fluctuates between the resistance level at $60 and the support level at $50. However, On August 22nd, the price of Litecoin reached the high of $59.43 and price pullback to the low of $56.21. The digital currency had been ranging below and above the price $56.21. Today, the LTC price has no significant price movement because the market is quiet. The price will react the same way this week until a breakout occurs. Nevertheless, the MACD line and the signal line are above the zero line which indicates a buy signal. Also, the price of Litecoin is above the 12-day EMA and the 26-day EMA which indicates that a bullish trend is ongoing. The Relative Strength Index period 14 is level 48 which indicates that price is in the sideways trend zone. From the 1-hour chart, the LTC price is in a sideways trend. The price of Litecoin is above the 12-day EMA and the 26-day EMA which indicates that price is in a trend. The MACD line and the signal line are at par with the zero line which indicates a neutral signal. If you refer a customer to us, who sells a minimum of 1000 USD Neteller to us (or buy the same amount from us), you will become our VIP for at least, the next 30 days. All you need to do is to tell us the name and the number of the referred customer. Some customers are already enjoying this kind of arrangement. They are the ones who fund and withdraw Neteller at the exact rates displayed on our websites. They’re either chosen as a result of long-term loyalty to us, or based on the fact that they’re Instaforex.com customers who open accounts through us on the link shown below. Others fund at higher rates and withdraw at lower rates. Yesterday, August 22, the price of Bitcoin was in a sideways trend. The BTC price fell while in a sideways trend. The cryptocurrency fell to its previous range-bound levels of $6,600 and $ 6,000. Yesterday, the BTC price reached the high of $6,880.72 and price pullback to the low of $6,303.65. Today, the BTC price is now in range bound movement. It is assumed that the cryptocurrency will cross over the hurdle at the price of $6,600. Meanwhile, the MACD line and the signal line are above the zero line which indicates a buy signal. Also, the price of Bitcoin is below the 12-day EMA and the 26-day EMA which indicates that a bearish trend is ongoing. The Relative Strength Index period 14 is level 48 which indicates that price is in the sideways trend zone. On the 1-hour chart, the BTC price is in a sideways trend. While in a sideways trend, the price of Bitcoin fell to the low of $6,323.93. After it has fallen, the cryptocurrency resumed its range-bound movement. The price Ethereum was in a sideways trend. In the last one week, the ETH price was fluctuating between the levels $290.99 and 319.17. The price of Ethereum has been quiet in the last four days. Today, the cryptocurrency is likely to continue its range bound movement. Meanwhile, the MACD line and the signal line are at par with the zero line which indicates a neutral signal. In addition, the price of ETH is at par with the 12-day EMA and the 26-day EMA which indicates that price is in the sideways trend. The Relative Strength Index period 14 is level 47 which indicates that price is in the sideways trend zone. On the 1-hour chart, the ETH price is in a bullish trend. The price of the cryptocurrency is moving horizontally along with the exponential moving averages. Meanwhile, the MACD line and the signal line are above the zero line which indicates a buy signal. The price of Ethereum is above the 26-day EMA and the 12-day EMA which indicates that a bullish trend is ongoing. Additional signals will be announced as they are identified. 2. Entry levels are approximate, but do not "chase the market"
This is to let you know that we’ve resumed our Perfect Money exchange services. We’ve resolved the issue we had with PM. Our PM account remains unchanged and as you know, we attend to online customers’ orders very fast. You can now sell and buy PM, using our services. You can also fund and withdraw Neteller, Skrill, Payeer, and Epay, using our services. The market is bearish, and price went further downwards until it reached the support line at 1.1350. Further drop was rejected around the support level and a rally effort ensued. However, the rally effort was not serious enough to threaten the recent bearish outlook on the market. There is a need for price to go further upwards by another 200 pips before the bearish outlook can be rendered ineffectual. The most probable direction for this pair is southwards, once a breakout occurs in the market. Right now, the situation remains unchanged. It is interesting that the bias on USDCHF remains neutral, just as it was last week. The neutrality in the market has been existing since June 2018. Normally, USDCHF should go upwards as EURUSD goes south, but the former has chosen to remain neutral as the latter goes south, hence showing the bulls’ apathy. Should EURUSD skyrocket (something that will eventually happen) there would be a smooth bearish movement on USDCHF. Cable went slight downwards from Monday to Wednesday (in conjunction with the downtrend), and then consolidated for the rest of last week (also in the context of a downtrend). The market has shed over 400 pips this month, and there seems it has much more room to go southwards. Nonetheless, the more the market goes bearish, the higher the chances of a strong bullish reversal when it does occur. In the medium-term, a bearish signal has been generated on this pair. Although the situation in the market is quite choppy, a closer look reveals that bears have upper hands right now, and thus, the market may be able to test the demand levels at 110.00, 109.50 and 109.00. But that achievement will require a very strong bearish movement in the market. Bulls are also waiting for an opportunity to effect a reversal, pronged by a favorable fundamental factor. The price moved sideways last week – in the context of a downtrend. Further bearish movement this week will result in a Bearish Confirmation Pattern in the market (which has already shown its existence). The outlook on JPY pairs is currently bearish but there is also a probability of a strong bullish breakout, which may become a threat to the existing Bearish Confirmation Pattern. Whatever the case may be, a strong movement will happen this week. This cross has dropped over 640 pips this month. It only consolidated last week, while the outlook on the market remains bearish. GBP is very weak and JPY is fairly strong; thus the bearish journey will likely continue this week when a breakout does occur. The targets for bears are the demand zones at 140.50, 140.00 and 139.50, which may be exceeded with enough bearish pressure.